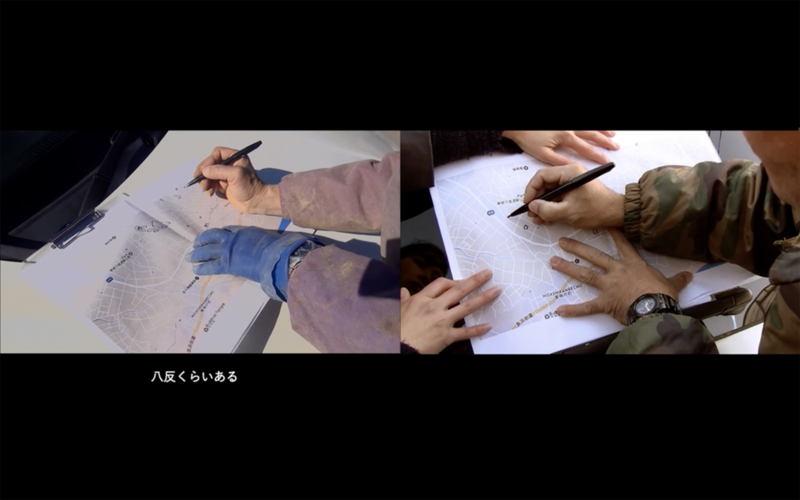 A short documentary film for the Our Food 2, Daikon project. The film, composed of interviews with 5 farmers in Mutsure town, tells the background of how 4 cabbage farmers switched their main crop from daikon to cabbage and what makes the daikon farmer still possible to continue daikon production. Some of their memories overlap while others exist in the realm of the personal as the dual-screen images are played simultaneously and alternately. All of their commentaries shines a light on the lost scenery in the town which once was but is no longer visible today.